In the summer of 2006, I penned a poorly written article about the last McCloud Railway train to Car A. I'm glad that one never saw the light of day, as it paved the way for this one. This article tells the McCloud story as framed through the life of the section camp at Car A, including the major winter of 1937-1938 and cumulating with the last train to the camp on 20 June 2006. This is my favorite of the article's I've written. 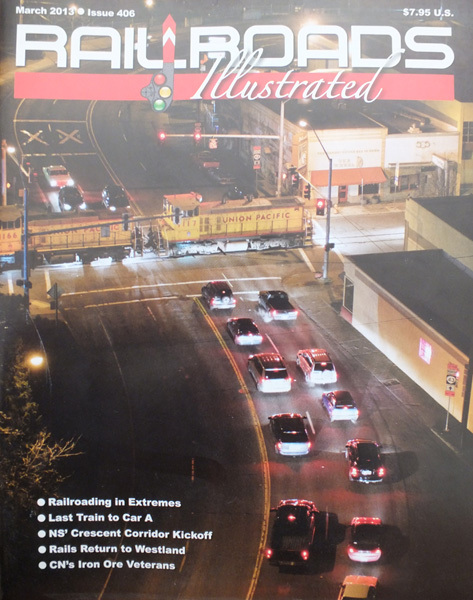 Railroads Illustrated ceased monthly publication after its publisher took over Railfan & Railroad magazine following Carstens Publication's failure, though it lives on as an annual special publication. Back issues are still available.